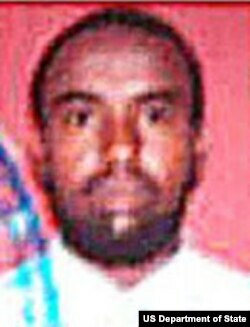 In a further sign of the United States’ determination to help the nations of Africa combat terrorism, millions of dollars in rewards are being offered for information on three more leaders of the al Qaeda-linked, Somalia-based terrorist organization, Harakat Shabaab al-Mujahidin, or al-Shabaab. The men are Yasin Kilwe, Abdikadir Mohamed Abdikadir -- also known as Ikrima -- and Jafar, also known as Amar. The group, listed as a Foreign Terrorist Organization since 2008, has control of large areas of southern and central Somalia, and is responsible for the deaths of thousands of Somali civilians, peace activists, international aid workers, journalists, and civilians, as well as African Union peacekeepers who are helping to restore stability and prosperity to the region. Tens of thousands of people have been forced to flee their homes amid the fighting. Since 2006, al-Shabaab has engaged in a campaign of violence, including bombings and suicide attacks, which has killed thousands. In July 2010, it planned and executed a bomb attack in Kampala, Uganda, that killed more than 70 people, including an American citizen. 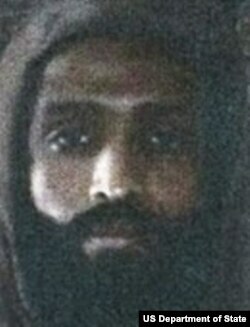 Yasin Kilwe is al-Shabaab's leader in the Puntland region of Somalia. He pledged his allegiance to al-Qaida in February 2012. Abdikadir, 34 years old, was born in Kenya of Somali parents. He has coordinated recruitment of Kenyan youth into al-Shabaab and commanded a force of Kenyan fighters operating in Somalia. He reportedly has medium-length hair, a thick mustache and is missing three fingers on his left hand. Jafar has served as Abdikadir's deputy and reportedly is missing one eye. If you have information on any of these men, contact the Regional Security Office at the nearest U.S. Embassy, submit a tip through the RFJ website at www.rewardsforjustice.net, or e-mail information to info@rewardsforjustice.net. The United States guarantees that all credible reports will be investigated and the identity of all informants will be kept confidential. If appropriate, the United States is prepared to protect informants by relocating them.